Ruth Gunkel, 68, died on Monday, September 3, 2018 at her home. Funeral services will be 10:30am on Saturday, September 8, 2018, at the Lost Creek United Methodist Church in Stillwater, OK. Interment will follow at Oak Grove Cemetery. Strode Funeral home is in care of the arrangements. Ruth was born on June 5, 1950, in Stillwater, Oklahoma, to Walter Mitchell Bridenstine and Lois Beatrice Eckert. She married Everett Gunkel on April 1, 2000, at Lost Creek. Ruth attended and graduated from Coyle High School and recently celebrated her 50th reunion. She went on to receive her Bachelor’s Degree from Langston University. After school, she taught at Langston Elementary School, Chandler High School in Chandler, Oklahoma and at Ripley High School in Ripley, Oklahoma. She was active in the Sunshine Club, caring for the Progress School. In recent years, Ruth enjoyed camping and traveling, sewing and cooking, especially for others. She loved spending time with her grandchildren and family. Ruth enjoyed carrying on her family’s tradition of raising Beef Cattle. 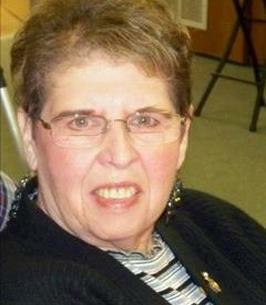 She was an active member of Lost Creek United Methodist Church. She is preceded in death by her parents; uncles, John Gosnell and Chet Cundiff; and aunt, Lavone Cundiff. She is survived by her husband; one daughter, Lara Brooks, and husband, Jeremy, of Stillwater; grandchildren, Luke and Blaire Brooks, of Stillwater one brother, Tommy Bridenstine, and wife Donna, of Perkins; Aunt, Belva Gosnell of Florence Oregon; two nieces Hilary Bloomfield and Ashley Walker and her life-long friends, Rhonda Shafer; and Richard Rogers as well as many cousins and friends. Memorial contributions may be made in her name to the Coyle Volunteer Fire Department for the purchase of First Responder equipment. To send flowers to the family of Ruth Ann Gunkel, please visit our Heartfelt Sympathies Store. So sorry for you guys but you know wherever she is she is telling everyone what to do. Will surly miss the words “hey buddy”.